Engagement and interaction are beneficial for your website or blog, except if your pages attract spammers who leave unrelated links in your post comments or forum threads. 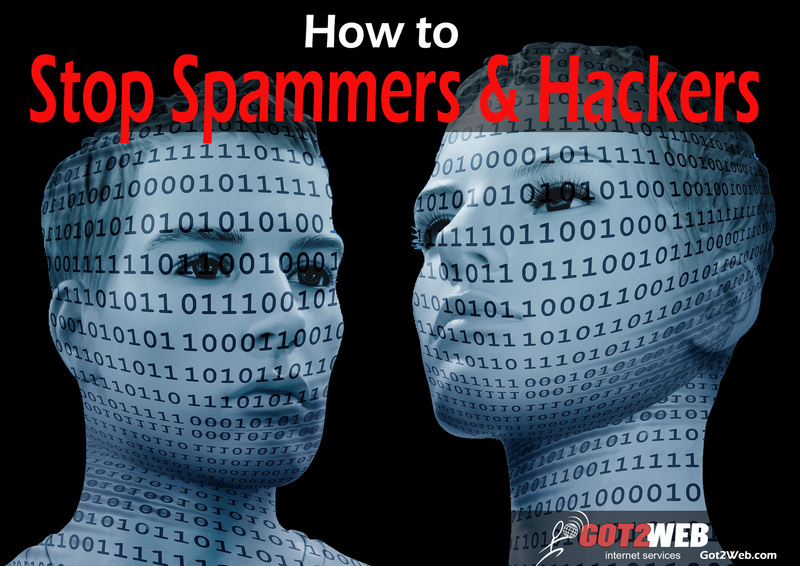 Spammy posts can hurt your site authority and reliability ranking, so it’s important to prevent them. If Google identifies your site as a spam target, they might remove it from the search index until you can prove you've corrected the problem. That type of website penalty can deliver a costly blow to search engine optimization and online marketing plans. When selecting a website service provider, ensure they monitor security round the clock and apply server and CMS security patches in a timely manner. Hackers target sites running older software lacking updated patches – these are “holes” in the security that provide an opportunity for a malicious attacker. Moderate your comments and forum posts. Review new posts on a daily basis; if you have controls in place to require post review and approval before publication, this is the simplest method for controlling comment spam. You approve or deny comments or postings on an individual basis before they get published. Keep guestbook and forum software and security features up to date. Apply patches and security updates for your website, server and content management system (CMS). Monitor users/members for excessive posting. Filter for excessive number posts from the same visitor or from the same IP addresses or proxies. Prevent repeated posts within a short time period that may identify suspicious behavior. Use CAPTCHA techniques to require posting users to prove they’re actual people and not scripts attempting to make automated posts. Activate plug-ins or tools to protect your site. Automated spam prevention tools are handy and reliable; they provide configuration levels you can set and adjust. Employ blacklisting tools. Block obvious attempts to bypass login or create posts containing undesirable keywords, too many (or any) links, or content unrelated to the topic or original post. Blacklisting tools help you prevent inappropriate content posts and discourage attackers. Enforce a “nofollow” attribute automatically on links added to comments or posts. Close comments to forum threads and aged conversations that are no longer current or pertinent. This will disable new commentary without loss of previous posts. Got2Web, LLC designs, develops, and hosts secure, responsive websites and mobile apps for local, regional and national clients. We specialize in cutting-edge design, expert development, superior service, and technical support. Contact us for assistance with spam prevention and secure hosting for your website or blog.